1) What is the Neopets Birthday Party all about? It couldn't possibly be any clearer! 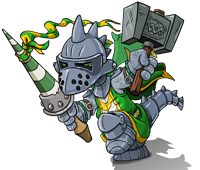 Neopets is celebrating its 19th birthday, and all Neopians are invited to attend! 2) I'm at the party, what do I do now? As with any other birthday party, have fun! You can see how many clicks it takes to break open the pinata, try to fix the tail on the balloon Hornsby, guess how many gumballs are left in the glass jar, or help put together a drizzle for the birthday cake. 3) Do I get any prizes for participating in the games? Of course you do! Each activity will award you a prize when you successfully complete it. What's more, you can get an additional NC prize by redeeming a Gift Me More card from the NC Mall. 4) How long will the party last? The party begins on the 15th of November and continues until the 16th of November at 12:00:00 PM NST. 5) Why can't I collect my return gift? Are you sure you have participated in all of the activities at the party? You won't be given your return gift until you've taken part in all of the party games. 6) I don't see any button to collect my return gift. Where is it? The return gifts are only for those who attended the birthday party on the 15th of November. If you're late, you can still play the games and win the prizes, but you won't get a return gift at the end of it. 7) What's the Gift Me More Card? Some people just love getting gifts, and who can blame them? If you're one such person, you can buy a Gift Me More Card from the NC Mall to get an additional NC prize after each NP prize that you win at the party. 8) Can I redeem multiple Gift Me More Cards for the same game? No, you can only redeem a single Gift Me More Card for a given game. 9) Can I participate in the birthday party on my side accounts? No, you cannot participate in the birthday party on your side accounts. 10) How do I activate the card? 1. Visit your inventory. Once in your inventory, click on your Gift Me More Card and select, "Activate Card". 2. If you purchased your Gift Me More Card from the Neopets Birthday Party page you can activate it right after purchase. Once you see the confirmation page, simply click the "Use Gift Me More Card" button and confirm the use of your card. 11) How do I purchase a Gift Me More Card? You can buy a card from the NC Mall or on the Neopets Birthday Party hub page. 12) Is there a bonus item for collecting all four NC items? Yup, players who collect all four NC items will receive a bonus prize for doing so.